If you've got noodles on the noggin, a recent opening is need-to-know. Called Pho Vallejo Noodle House, the new arrival is located at 908 Admiral Callaghan Lane in East Vallejo's Gateway Plaza (near Target) and sports an outdoor patio with a living plant wall. The noodle joint offers beef, chicken and seafood pho, in small and large sizes with a variety of toppings like brisket, flank and tripe. Diners will also find hoanh thanh (wonton soup) with rice, egg or clear noodles, plus vermicelli noodle bowls and grilled pork platters with rice, eggs and vegetables. To accompany the meal, there's a large selection of Vietnamese specialty smoothies and fruit drinks, from a lychee shake with tapioca pearls to salted plum soda to fresh coconut juice. 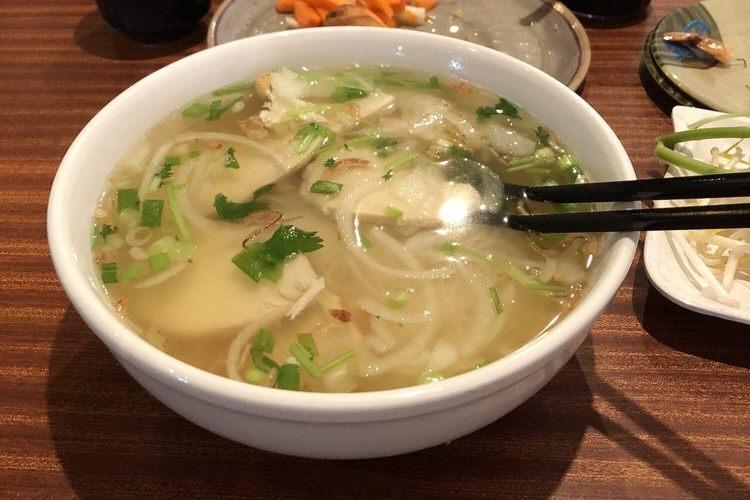 Pho Vallejo Noodle House has just two reviews on Yelp, which give it a 4.5-star rating thus far. "You could tell they put a lot of work into this place because the inside and the newly built patio are pretty nice," wrote Roderick Xavier D., who was the first Yelper to review the new spot on August 22. "The patio also has a padded wooden bench against a living wall/plant wall." "This place has a great atmosphere, is clean and has friendly service," added Yelper Erica G. "The food was also exceptional!" Pho Vallejo Noodle House is now open at 908 Admiral Callaghan Lane., so head on over to check it out.